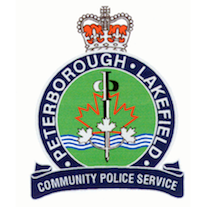 On Saturday (Feb. 9), 2013 just after 7:30 p.m. police were alerted by citizens of a male victim who had collapsed on the roadway in front of 196 Park Street North. Investigation revealed that the man had been stabbed multiple times in the torso area following a disturbance with a second male that originated at 196 Park Street North. The 50 year old victim was transported to PRHC with non life threatening injuries and remains in hospital in stable condition. On Sunday (Feb. 10), 2013, the person responsible for this stabbing attended the police station and was arrested. Both the victim and accused are known to each other and neither resides at 196 Park Street. Charged with aggravated assault is Cory Andrew Manbeck, 30, of Peterborough. He was held in custody and is scheduled to appear in court later today (Feb. 11), 2013.